The knowledge we gain from each market, helps the continuing improvement of the others. As the only manufacturer capturing these three markets, Cain has developed the greatest selection of products to precisely fit within their particular system applications. Coupled with heat transfer programs and CAD engineered designs, they have developed 15 product lines with over 2,350 pre-designed industrial heat transfer models. Cain is also especially dedicated to a primary investment in our associates with their manufacturing technology, quality improvements, and innovative cost reductions. As a result, our customers can expect competitively priced products aimed at having the greatest return on investment, along with the longest lasting equipment. The greenest system available for distribution of hot & chilled water. Permapipe’s new aluminum diffusion barrier eliminates the degradation of the initial K factor in the Polyurethane foam insulation by eliminating the diffusion of air into the foam which typically replaces the blowing agent and raises the K value, effectively increasing the heat loss. The metallic barrier prevents the diffusion of the blowing agent and results in an improved long term thermal efficiency of over 30%. Perma-Pipe’s spray process for applying polyurethane foam results in the most uniform cell structure and therefore the lowest possible insulating value (K). The blowing agent is an HFC which has ZERO ozone depleting chemicals. Green foam with the lowest K value results in the lowest heat loss and the most energy efficient piping system. Designed for processes up to 1,400°F (760°C), Thermo-Z recovers energy that can be used for process makeup air, plant or office heating, or preheated combustion air. 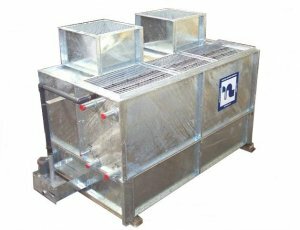 The heat exchanger is fully welded and has variable plate spacing on the heat exchanger supply and exhaust. 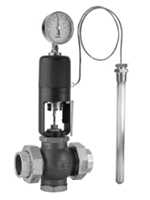 The unit provides various flow patterns and zero cross contamination. The internal casing is secured to a cold outer casing by means of integral thermal expansion joints. The joints allow the heat exchanger to be installed flange-to-flange to the ductwork without compensating for thermal expansion of the heat exchanger. Niagara Blower’s WSAC uses significantly less parasitic energy than a conventional cooling tower and heat exchanger combination. Field experience has shown that typical fan horsepower is reduced by 10-25%. Typical pump horsepower is also reduced from 10-40%. 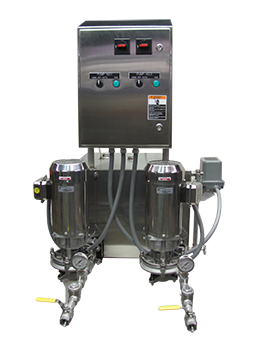 The WSAC For more information:units are able to use a lower quality water allowing higher cycles of concentration in the cooling process. This allows for the makeup water requirements to be reduced, saving on total water consumption. In some applications we can also use waste water from another process as our makeup water to essentially allow the WSAC system to consume no new additional water. The Trerice SX9 is the only Digital industrial thermometer on the market that does not use batteries. These thermometers are completely solar powered and contain zero mercury. The SX9 is a DIRECT replacement for older Mercury & Spirit filled Adjustable Angle thermometers. The SX9 series is also available with stems for Bi-Metal & Duct thermometer replacement applications. 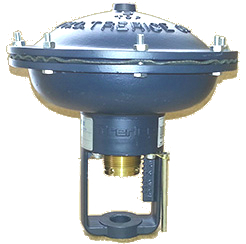 The Trerice 910 series is a compact direct acting pneumatic actuated control valve which is designed for accurate performance within light industrial, HVAC and commercial process applications.The Trerice 910T series has proportional control action for standard duty applications. It comes in either bronze, cast iron or stainless steel with modified linear trim styles. They come in either double seat or three way design. The importance of an integral steam system relies on a complete system including a condensate return system. The Watson McDaniel PMP Series of Pressure Motive Pumps are designed to transfer hot condensate (or other liquids) without the use of electrical power. The mechanical seals in standard electric condensate return pumps begin to have difficulty when handling condensate in excess of 195° F. Seal failure is virtually guaranteed when condensate temperatures reach 203° F due to flashing of the condensate across the seal face. 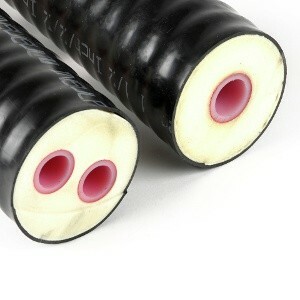 It is therefore required to cool condensate in order to prevent seal failure prior to pumping using electric pumps. PMPs do not have seals and therefore will handle condensate well in excess of these temperatures. 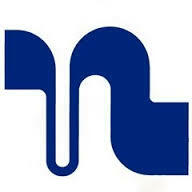 Visit Watson McDaniel Site for more information. Fabtek is a family owned company primarily engaged in the manufacture of condensate return units, boiler feed systems, custom tanks, pumps and accessories utilized for the efficient collection and return of Steam Condensate to Boiler Rooms throughout North America. Focusing primarily on Industrial, Commercial, Institutional and Laundry/Dry Cleaning application. 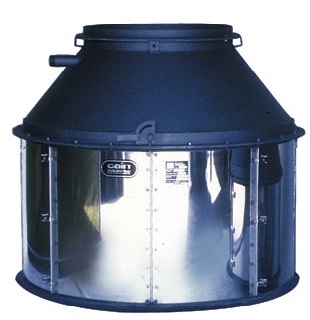 Specializing in Stainless Steel construction, Fabtek tanks, pumps and accessories are of the highest quality and are built to withstand the difficult environments often found in and around a Steam Boiler system. Fabtek is highly vertically integrated, designing many of the components and accessories used on our systems in house and manufacturing them in our state of the art CNC Machining Center.